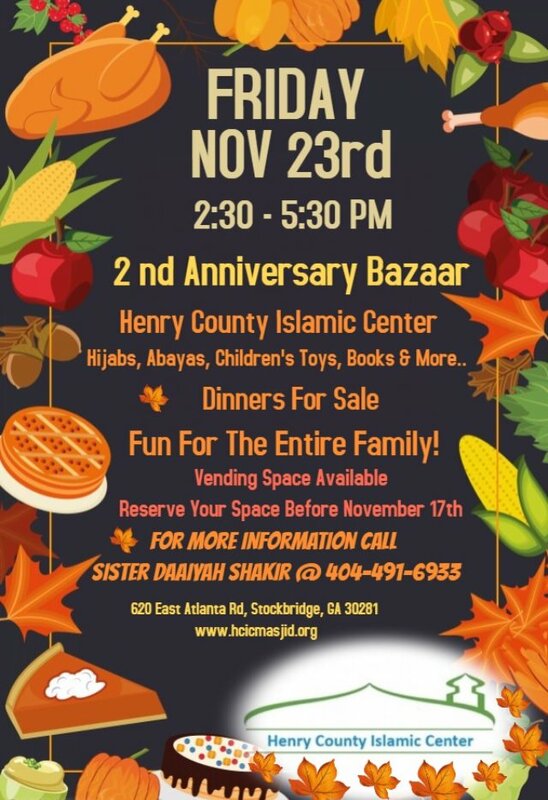 Nov. 23, 2018, 2 p.m.
Come and celebrate the masjid’s 2nd year. Fun for the whole family!! Children and adult games, food, and vendors for toys, books, clothing. Help the masjid raise money and have fun doing it!! Edit This Event Last Edited By: HCIC on Nov. 12, 2018, 8:57 p.m.